Enter the Zojirushi Holiday Giveaway for a chance to win a 3-liter water boiler and warmer PLUS a stainless steel water bottle. I’m beyond excited over this giveaway. 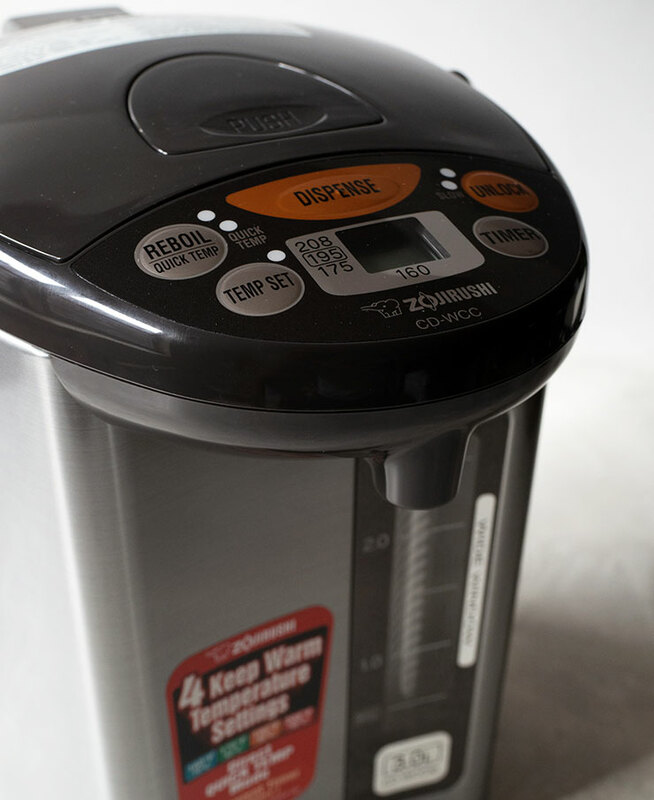 If you’ve been reading this blog, you know how much I love Zojirushi’s water boiler and warmer. Ahhhh, I FREAKING LOVE IT. It’s basically an electric kettle for tea on steroids. 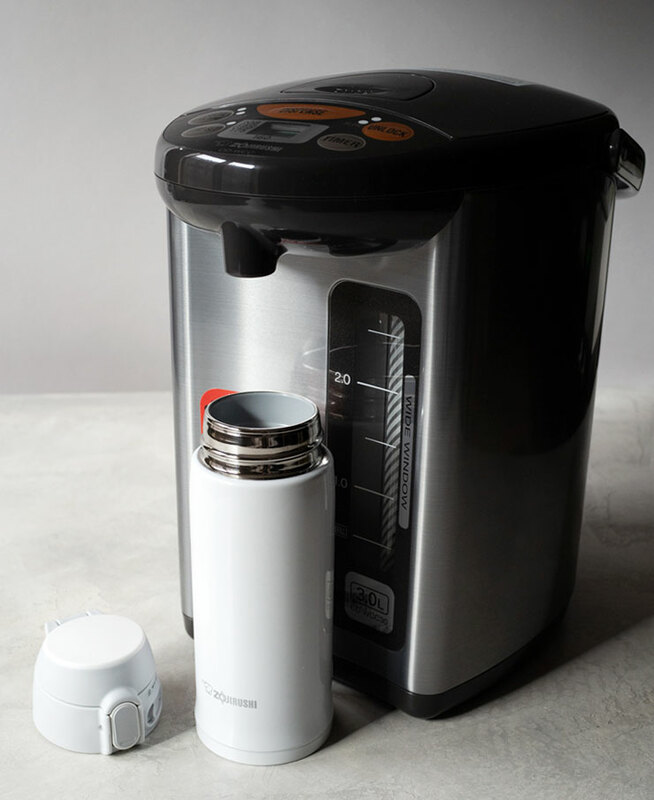 It holds three liters of water, has a precise temperature water setting so you can adjust for any tea steeping temperature, and keeps the water warm for hours. It’s perfect for the colder months when all you want is hot tea all day. Thanks to Zojirushi, we’re giving away a prize set valued at $181! Set this water boiler & warmer on your counter or desk, fill it with water in the morning and you’ve got hot water at your fingertips the entire day. Drinking black tea in the morning, green tea in the afternoon, and herbal tea in the later hours? 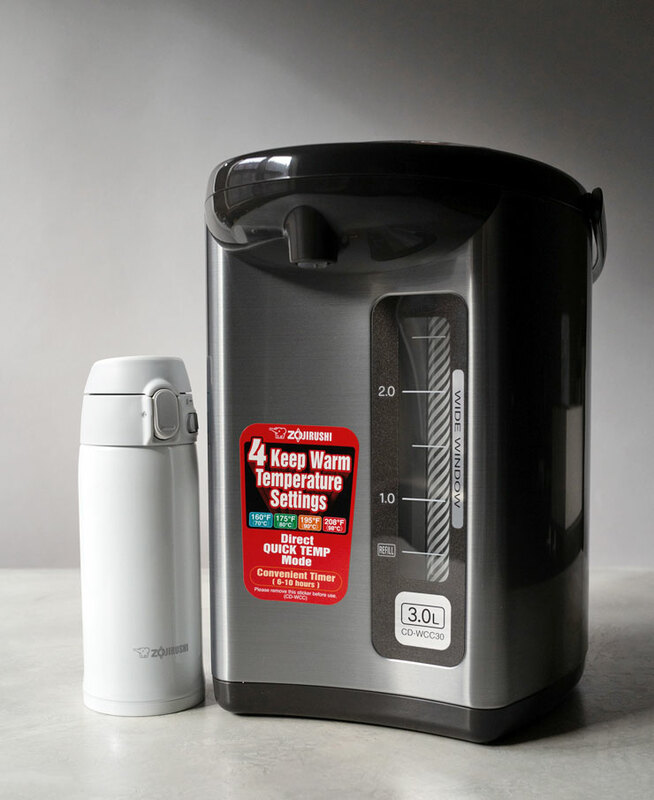 This water boiler can handle it all with its four keep warm temperature settings (160°F, 175°F, 195°F, 208°F). Love that the water temperatures are all set for brewing tea. 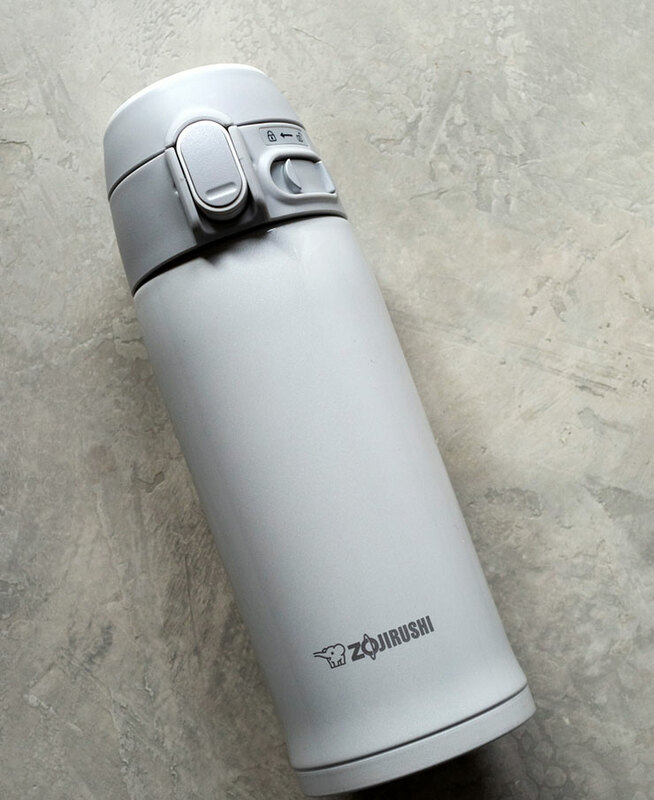 Zojirushi calls this the Stainless Steep Mug and it’s a vacuum sealed, double walled water bottle. Go check out the Amazon reviews on Zojirushi’s water bottles. Everyone loves it, not just me! This water bottle keeps cold drinks cold and hot drinks hot for HOURS. How many hours? SIX. NOTE: This giveaway is only open to US residents. Winner will be contacted by email and entries will be verified. If a winner does not respond within three days of being contacted, another winner be chosen. Giveaway prize courtesy of Zojirushi. Jee, I am new to your site and entered your Harney giveaway the other day (don’t think, though, I’ve correctly put in additional entries), but I’m not going to enter *this* giveaway because I already have a Zojirushi. Just wanted to say what a wonderful thing it is! I’m sure whoever wins it will love it. Hi Jean, the Zojirushi is a thing of beauty! I’ll see you at the next Zojirushi fan club meeting! ha.